Quantity: An average of 22 pounds of tomatoes is needed per canner load of 7 quarts. Not more than 3 cups of other vegetables may be added for each 22 pounds of tomatoes. 2. Wash tomatoes, remove stems, and trim off bruised or discolored portions. 4. Add no more than 3 cups of any combination of finely chopped celery, onions, carrots, and peppers for each 22 pounds of tomatoes. 5. Simmer mixture 20 minutes. 6. Press hot cooked tomatoes and vegetables through a sieve or food mill to remove skins and seeds. 8. Add 1 teaspoon of salt per quart to the jars, if desired. 9. 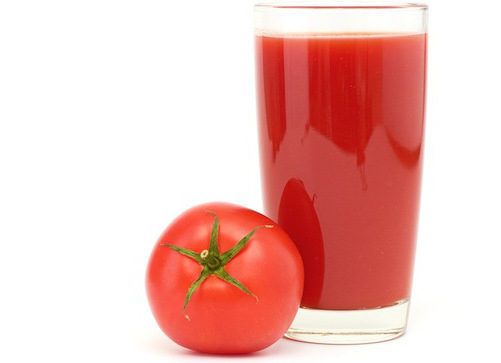 Reheat tomato-vegetable juice blend to boiling and fill immediately into jars, leaving 1/2-inch headspace. 10. Wipe rims with a clean damp cloth, adjust lids and process in either a boiling water canner or pressure canner according to the recommendations.